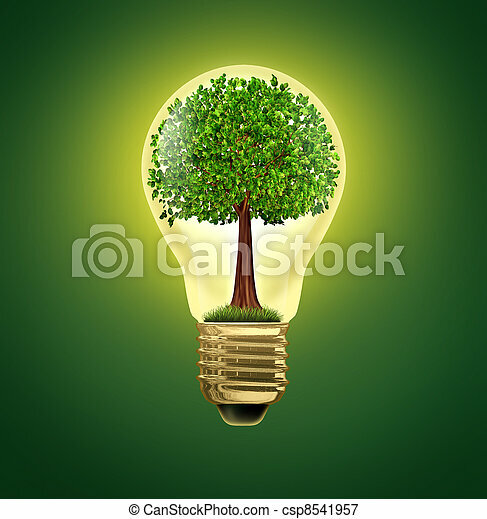 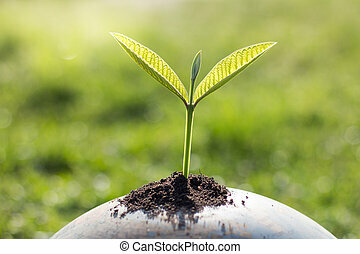 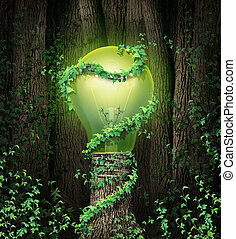 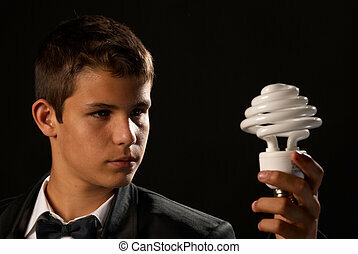 Environmental Ideas and environment green energy ecological symbol of conservation and alternative electrical power to get off the grid and improve efficiency using battery or hybrid motor systems to conserve nature with a gree tree in a light bulb. 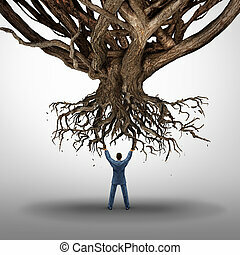 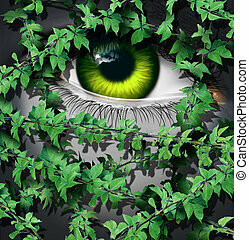 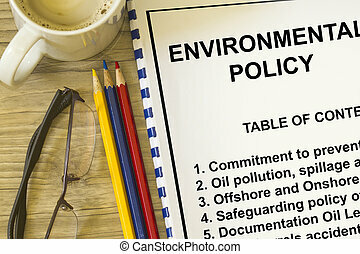 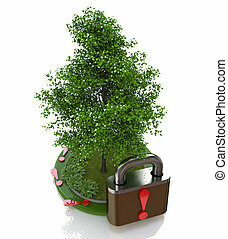 Environmental policy and safeguarding concept- with table of contents on a lecture coversheet. 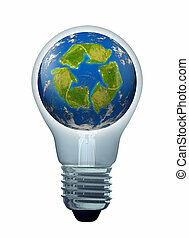 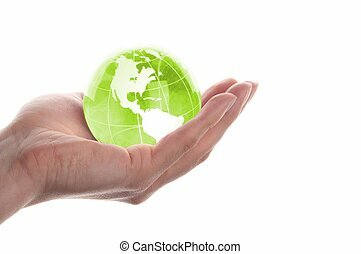 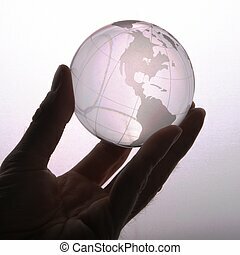 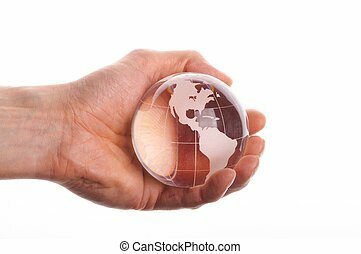 Green solutions and energy saving ideas symbol represented by a light bulb and a recycle icon shaped continent on an earth sphere model. 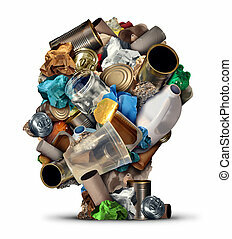 Recycling ideas and environmental garbage management solutions and creative ways to reuse waste as old paper glass metal and plastic bottles shaped as a human head as a symbol for reusable thinking and conservation advice. 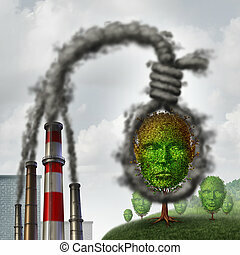 Environmental suicide concept as industrial dirty pollution shaped as a rope noose choking a tree shaped as a human head as a metaphor for the dangers of toxic air discharge and the effects on the environment and climate. 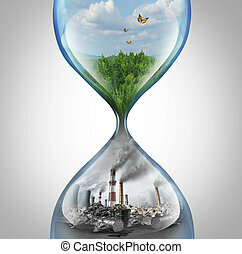 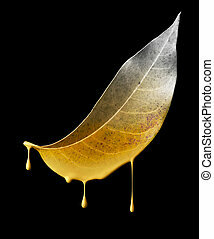 Rate of environmental damage and climate change urgency concept as a green natural habitat sinking into a pollution and toxic enviroment in a sand hourglass with 3D elements. 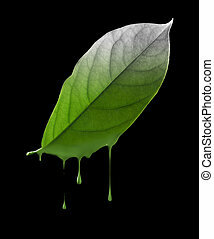 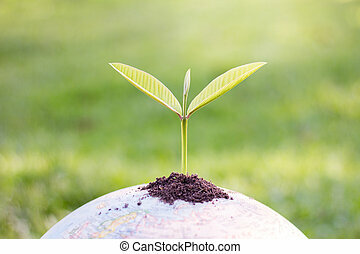 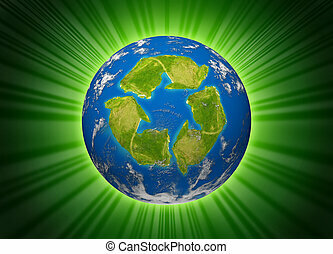 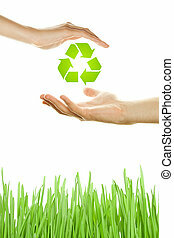 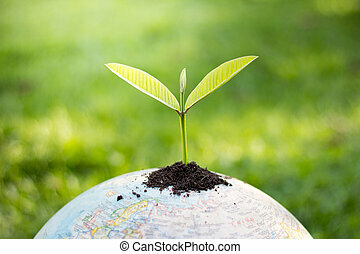 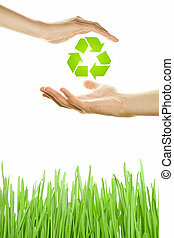 Green planet symbol represented by the environmental concept of a recycle icon shaped continent on an earth sphere model. 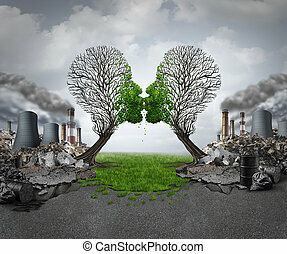 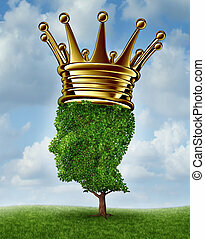 Climate recovery and environmental renewal as two empty trees shaped as human heads kissing and reviving new green growth out of a polluted industrial background as a hope metaphor for environment motivation. 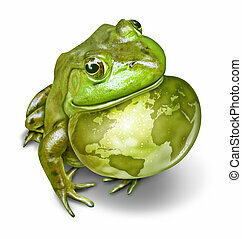 Global conservation and environmental protection symbol as a green frog and an inflated throat with the world map as a birth mark on the amphibian skin as a concept of protecting habitats. 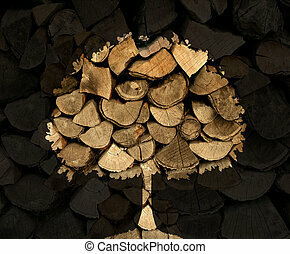 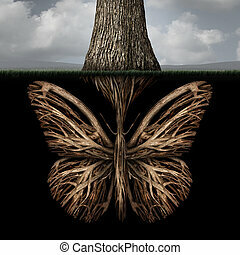 Lumber industry concept with a stack of chopped tree logs or firewood with a shadow in the shape of a tree symbol as a nature icon of forestry and environmental conservation issues.